The 58th Spiritual Enrichment Conference hosted by the Committee on Women’s Ministry of the Diocese of the Southeast was held Friday, October 10 through Sunday, October 12, 2014, at The Doubletree by Hilton Williamsburg in Williamsburg, Virginia. 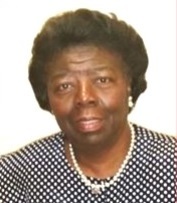 The conference theme was “A Study in Psalms.” The conference speaker was Earnestine Porter of Grace Reformed Episcopal Church, Moncks Corner, SC. Following Saturday morning’s session, Rebecca J. “Becky” Pettigrew of Calvary Reformed Episcopal Church, Swamp Fox, SC, facilitated the conference workshop: Praying Through the Psalms. Sopranos Rubystene Mazyck of Immanuel Reformed Episcopal Church, Cross, SC and Saralee Czajkowski of Bishop Cummins Reformed Episcopal Church, Catonsville, MD accompanied by Helena Wright of Saint Matthew’s Reformed Episcopal Church, Havertown, PA, led in Praise Through the Psalms during the weekend and at Saturday evening’s Psalmspiration. The Rev. Edmond B. Mazyck, of Immanuel Reformed Episcopal Church, Cross, SC presided at Sunday Morning Worship Service, and the Rev. Willie J. Hill, Jr. of Saint John’s Reformed Episcopal Church, Charleston, SC delivered the closing message. At the conference banquet, certificates of appreciation were presented to our International Women’s Day Celebration Banquet Speaker, Karen Pierpoint (in absentia), and our Spiritual Enrichment Conference Speaker, Earnestine Porter. 49 persons representing 19 churches and four states: Maryland, New Jersey, Pennsylvania, and South Carolina were in attendance at the conference. Among these persons were six first time conference attendees. Additionally, we were delighted to have a family of six join at our Sunday Morning Worship Service. The conference was a blessing to all in attendance and will be repeated for the ladies of the Diocese of the Southeast at their annual Christian Life Enrichment Conference March 13-15, 2015, in Myrtle Beach, SC. Everyone is invited to attend. For more information please contact Gale Hill at gghmrsmoses@yahoo.com.